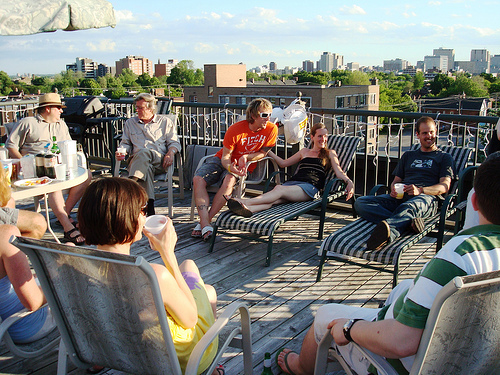 One of the common reasons why roof decks leak is ponding water that forms on the roof. Ponding water occurs for a number of reasons such as inadequate roof drainage or roofing material failures. Most flat roofing materials, such as EPDM rubber, rely on adhesives to seal the seams and flashing around penetrations. Over time these adhesives break down and cause leaks. Ponding water further exacerbates this problem by increasing the rate at which seam adhesive fails. If you are installing a new roof deck you can prevent ponding water issues by designing proper drainage of the roof. A common practice is to have a roof slope (typically 1/4″ per 1 foot roof pitch). In case design limitations and other conditions do not allow for a roof to drain off the edge, it is possible to install a center roof drain. Another area where leaks will be likely to occur is the clearance between the door sill and the roof. Often this clearance is only an inch or two, which eventually leads to roof leaks right in this area. Consequently, it is best to have this clearance be at least 4 inches, even if it creates a step-down from the door leading onto the roof deck. 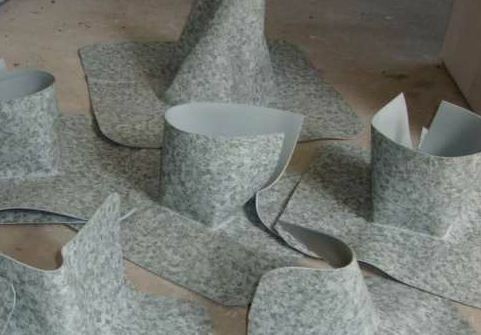 In addition to ensuring a proper roof slope either during construction or by using a tapered (sloped) insulation system, it is also important to use the thickest membrane you can get. You need to make sure that your contractor will go above and beyond in sealing the seams and probing them, before installing the floating deck. This is why it is critical to hire an experienced roofing contractor who specializes in flat roofing and will therefore know best practices for installing roof decks. You should avoid hiring contractors who install mainly roofing shingles, as they typically lack the expertise necessary to properly install and waterproof flat roof decks. If you want to install a seamless watertight roof deck that will last for years without any leaks, your best option is an IB Deck Shield. This roofing deck is based on an IB’s PVC membrane and is specially designed for flat roofs. What makes this product superior to other types of roof decks, such as EPDM rubber, is the fact that an IB Deck Shield features hot air welded seams, which permanently seal membrane overlaps, ensuring a completely watertight roof. As a result, an IB roofing membrane can also withstand ponding water. Unlike other roofing membranes, an IB membrane does not require a floating deck on top of it, which reduces the overall roof deck cost, and is much easier to repair if a leak ever occurs. Moreover, an IB Deck has a specially designed slip resistant surface, even when wet, and boasts a stylish texture that resembles small pebbles. This makes it ideal for use as a swimming pool deck, but also works well for all other decks. Another beneficial design element is that all components of an IB Deck Shield are color matching and produce a uniform, attractive final look. You can rest assured that an IB Deck Shield will easily withstand regular wear and tear, as it is highly durable and resistant to puncture damage. Exceptional durability is the result of the fact that the DeckShield is glued to the the DensDeck substrate. The surface under it is very hard and most sharp objects that fall on it will bounce off, leaving very little or no damage. Moreover, because the membrane is glued to the substrate, even if water gets in, it will actually not be able to spread and leak inside your home. In case your IB DeckShield will ever need to be repaired, it will be an easy process. During a repair, a small patch of color-matching membrane will be welded over the damaged area, making the repair virtually invisible. Moreover, an IB Deck will remain weldable for years to come, so that you will not have to worry about complicated repair solutions. James – ballpark for DeckShield would be $2700-3300 for the roof and about $70-90 per post flashing, assuming posts are already in place. If need post cut-in/install, that would be another $175-225 per post. i have 4×4 wood posts which penetrate the deck. this seems to be the leak spots. how do you address this? Can you recommend an installer in the Gouldsboro, PA, area of the Poconos for a roof deck? I live about 60 miles north of Houston, TX. Can you provide contacts for IB Deckshield installers? I don’t thin IB has approved contractors in your neck of the woods, but you can try – call them at 800-826-1626 and ask for local installers. Alternatively, you can get a local roofer who installs thermoplastic roofs (PVC / TPO) and they can buy a similar product made by FLEX in Pennsylvania. The only thing they must know how to fully adhere this material. It must be done with water based adhesive, and adhesive should be WET when installing. It is very important to follow these instructions when installing IB DeckShield and similar membrane to ensure proper adhesion and avoid air bubbles. I am interested in replacing my flat roof with this roof. Do you have any contractors in the Detroit area? 48101 zip code? Thanks. 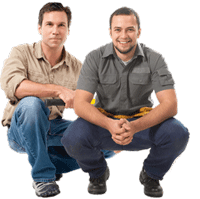 Looking for an installer in San Antonio, TX for residential application.